General Dynamics Corporation (NYSE:GD) has experienced an increase in enthusiasm from smart money of late. 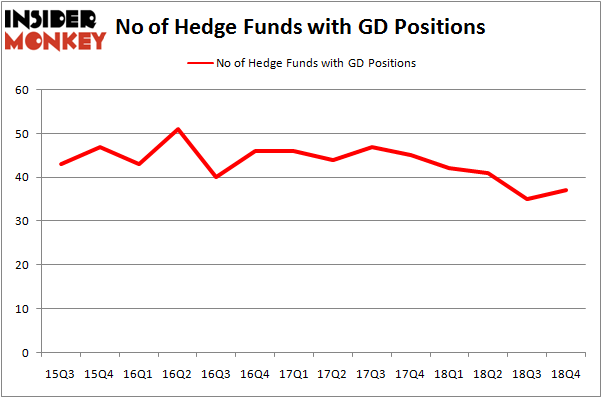 Our calculations also showed that GD isn’t among the 30 most popular stocks among hedge funds. Let’s take a peek at the new hedge fund action encompassing General Dynamics Corporation (NYSE:GD). 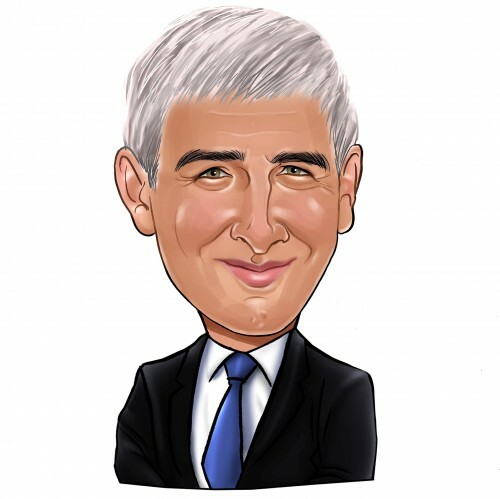 What have hedge funds been doing with General Dynamics Corporation (NYSE:GD)? At the end of the fourth quarter, a total of 37 of the hedge funds tracked by Insider Monkey were bullish on this stock, a change of 6% from the second quarter of 2018. By comparison, 42 hedge funds held shares or bullish call options in GD a year ago. So, let’s see which hedge funds were among the top holders of the stock and which hedge funds were making big moves. The largest stake in General Dynamics Corporation (NYSE:GD) was held by Longview Asset Management, which reported holding $5138.1 million worth of stock at the end of September. It was followed by Farallon Capital with a $256 million position. Other investors bullish on the company included Adage Capital Management, Iridian Asset Management, and Sirios Capital Management. As aggregate interest increased, key hedge funds were leading the bulls’ herd. Discovery Capital Management, managed by Rob Citrone, assembled the most outsized position in General Dynamics Corporation (NYSE:GD). Discovery Capital Management had $18.5 million invested in the company at the end of the quarter. Benjamin A. Smith’s Laurion Capital Management also made a $14.1 million investment in the stock during the quarter. The other funds with brand new GD positions are Sander Gerber’s Hudson Bay Capital Management, Peter Rathjens, Bruce Clarke and John Campbell’s Arrowstreet Capital. Let’s now review hedge fund activity in other stocks similar to General Dynamics Corporation (NYSE:GD). We will take a look at The Bank of New York Mellon Corporation (NYSE:BK), Occidental Petroleum Corporation (NYSE:OXY), UBS Group AG (NYSE:UBS), and Prudential plc (NYSE:PUK). This group of stocks’ market values are similar to GD’s market value. As you can see these stocks had an average of 19.25 hedge funds with bullish positions and the average amount invested in these stocks was $1712 million. That figure was $6274 million in GD’s case. Occidental Petroleum Corporation (NYSE:OXY) is the most popular stock in this table. On the other hand Prudential plc (NYSE:PUK) is the least popular one with only 9 bullish hedge fund positions. Compared to these stocks General Dynamics Corporation (NYSE:GD) is more popular among hedge funds. Our calculations showed that top 15 most popular stocks among hedge funds returned 19.7% through March 15th and outperformed the S&P 500 ETF (SPY) by 6.6 percentage points. Unfortunately GD wasn’t in this group. Hedge funds that bet on GD were disappointed as the stock returned 8.6% and underperformed the market. If you are interested in investing in large cap stocks, you should check out the top 15 hedge fund stocks as 13 of these outperformed the market. Itau Unibanco Holding SA (ITUB): Are Hedge Funds Right About This Stock? Were Hedge Funds Right About Buying United Technologies Corporation (UTX)? Were Hedge Funds Right About Buying Costco Wholesale Corporation (COST)? Hedge Funds Have Never Been This Bullish On Thermo Fisher Scientific Inc. (... Were Hedge Funds Right About Dumping Twenty-First Century Fox Inc (FOX)? Do Hedge Funds Love Diageo plc (DEO)?